When Habasit (UK) Limited needed a warehouse storage design for their new 40,000 square foot premises in Elland and we were only too happy to help! The company offers the broadest selection of fabric-based conveyor belts, plastic modular belts and power transmission belts available in the industry. Combined with a comprehensive service centre network, Habasit (UK) Limited offers an unrivalled solution to belting needs and needed ap racking system to accommodate their products. Although Quickline were late in on the tender process, we were able to win the bid with an innovative and cost effective warehouse storage design. Quickline manufactured a scaled prototype which was tested and approved by the client prior to order placement. The client needed a warehouse storage solution to store rolls of rubber of different lengths and diameters. Using cantilever racking with bespoke designed cradles bolted onto the cantilevered arms, they are able to store three rolls of 350mm diameter, two rolls of 650mm diameter or one large roll of one metre diameter on each pair of arms, up to a load of 1500kg. 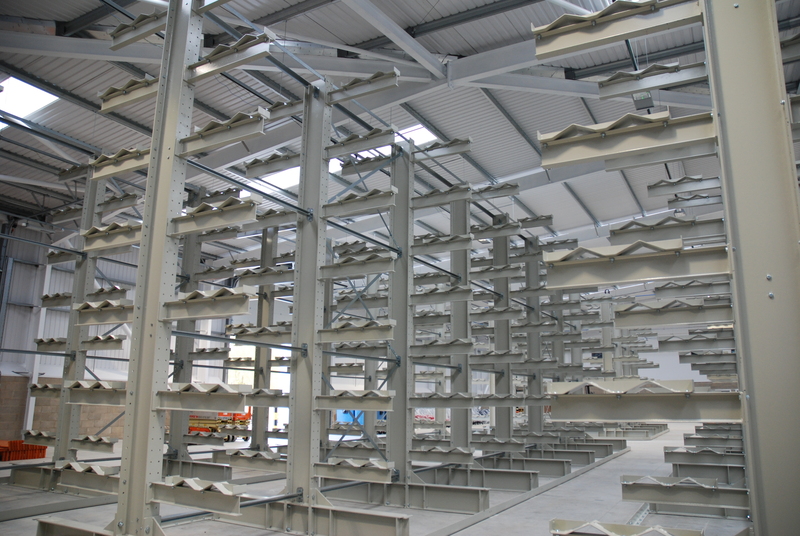 The cantilevered pallet racking provide seven levels throughout. There are several different sized bays included within the warehouse design to accommodate for the varying lengths of roll the client needs to store. The use of double sided racks provides an efficient and cost effective storage solution, installed to suit the client’s’ new fork lift truck. A floor mounted guide rail that runs around the bases of all the cantilever pallet racking columns prevents potential damages to the system from fork lift truck impacts. Quickline were able to complete the installation in only 8 days, coinciding with the client’s’ relocation schedule.